Theft is one of the retail world’s biggest challenges. Especially in the independent convenience sector where stores are often manned by a handful of people that are not equipped with the latest security gizmos. In fact, nearly half of retailers (49%) have experienced theft of cash from their premises.1 This hurts businesses and their customers because merchants often have to pass on these losses by raising prices. With cash management solutions, businesses can fight back against theft and achieve an advantage over competitors. Typical convenience stores in Ireland experience high cash usage. Hoping to eliminate cash shrinkage and improve checkout at its 13 stores in and around Dublin, Ireland, the Griffin Retail Group asked its POS systems provider for help. The provider, Galway-based Retail Solutions, reviewed a host of cash management solutions with the client, and one of them stood out – the SMARTtill™ Cash Management Solution by APG Cash Drawer. Operations Director at Griffin Retail Group, David Bridgette, says the SMARTtill™ Solution beat the competition in cost effectiveness. “It provides all the functionality we require but at a fraction of the cost of some of the other solutions.” The SMARTtill™ Technology delivered a quick return on investment due to its multiple benefits at different areas. One of the top criteria for the Londis stores was size, says Mr. Bridgette. “Due to the location and volume of traffic within each store, counter space is always an issue.” Thanks to its standard footprint, the SMARTtill™ Intelligent Cash Drawer would require minimal counter alterations. Installation was seamless, allowing the stores to keep operating at nearly maximum capacity. Following a successful two-month pilot, a group-wide roll out was initiated. The Griffin Retail Group’s Dublin-area stores operate under the brand Londis. 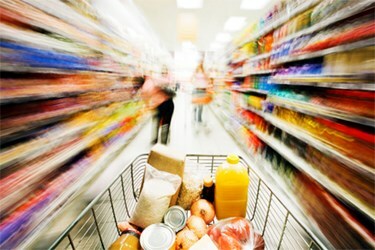 The busy convenience stores serve an average of 200,000 customers per week. With such a high level of activity, cash shrinkage is common due to human error and theft. “In the store where we had concerns, the level of discrepancies were reduced to zero almost overnight delivering an incredible result,” said Mr. Bridgette. “The technology is ideal for the fast-moving convenience sector, where lots of transactions happen on a daily basis and there are more potential errors with multiple cashiers using the same checkout station. With this solution, individual cashiers can be audited,” says Mr. Quinn. Counting the float daily or more is often a necessary practice for a retail convenience store, but it is also time-consuming. Even with a cash counting machine, you still must remove the cash by each denomination. And when errors are involved, the time spent counting escalates taking staff and managers away from other tasks. This creates bottlenecks that affect customer service and the bottom-line. “Most of our stores are 24-hour stores with multiple tills and shifts. In the past, a till had to be closed for the cash-up process. This had a two-fold effect: Customers were not being served at this time and labor was being wasted counting money,” Mr. Bridgette says. The SMARTtill™ Solution includes Cash Manager Software which, once integrated, enables supervisors to remotely track each drawer, keeping a record of every cash movement, including transaction numbers and cashier IDs. Looking ahead, Mr. Bridgette says Retail Solutions will be integrating the SMARTtill™ Technology with surveillance cameras. In the event of a questionable transaction, a 45 second video clip can help clarify what happened, providing an extra layer of security.